Multimodal therapy for early Barrett’sneoplasias (endoscopic resection of all visible neoplasias, followed byablative treatment for residual nondysplastic Barrett’s mucosa), has becomeestablished as the standard therapy and is set out in national andinternational guidelines. These dysplastic lesions continue to be difficult todetect. 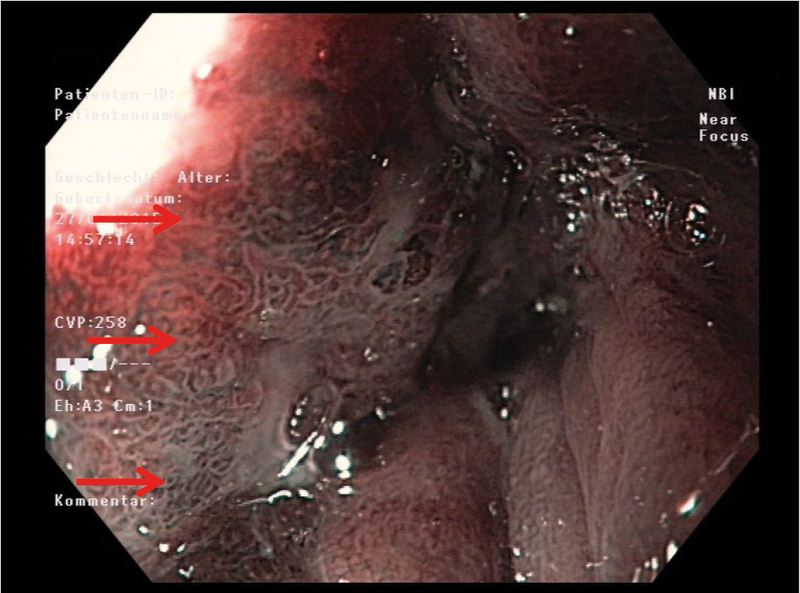 Discrete dysplastic mucosal changes are often very small, flat (ParisIIb), and irregular in appearance, so that they are frequently not recognized.In addition, the monitoring protocols that have been recommended to date, withfour-quadrant biopsies (e.g., using the Seattle protocol) and high-resolution (HR)white-light endoscopy, cover only 4–5% of the total surface of the Barrett’smucosa. Most of the Barrett’s epithelium is therefore not examined . 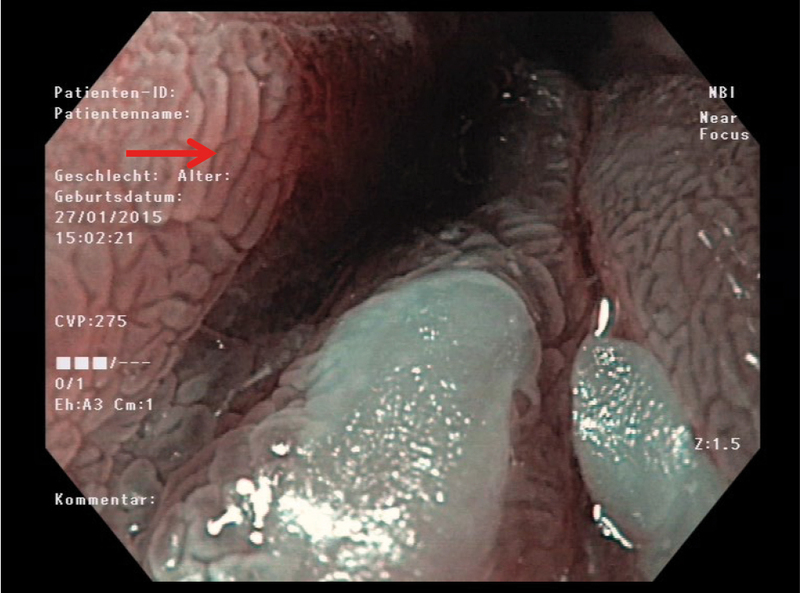 In comparison with pure white-lightendoscopy, the narrow-band imaging (NBI) mode allows much better differentiation,particularly of flat, discrete mucosal changes and their extent within anotherwise homogeneous area of intestinal metaplasia . 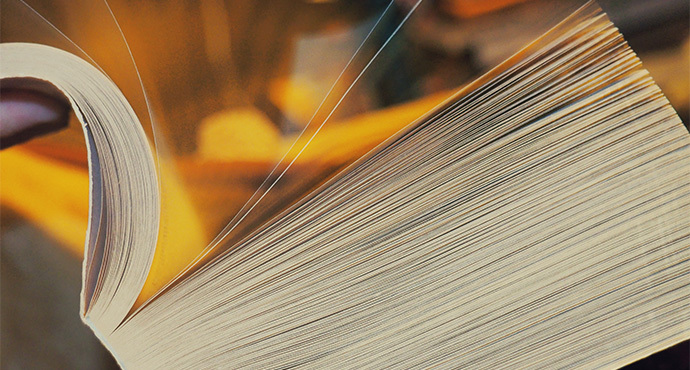 In 2016, the Barrett’s International NBI Group (BING) (including committees of experts on Barrett’s from the USA, Europe, and Japan: University of Kansas, University of Chicago, Academic Medical Center in Amsterdam, University of Augsburg, Hokkaido University, and Jikei University) developed a classification for identifying dysplastic areas and early carcinomas inside Barrett’s mucosa using NBI. According to this BING classification, there are changes that occur in the mucosal surface pattern and in the mucosal vascular architecture during the development of dysplasia and early neoplasia — in contrast to nondysplastic Barrett’s esophagus (NDBE) (Table 1). This validated classification can be used for histopathological prediction of the presence of possible high-grade dysplasia or early carcinoma within these often flat, poorly detectable areas. 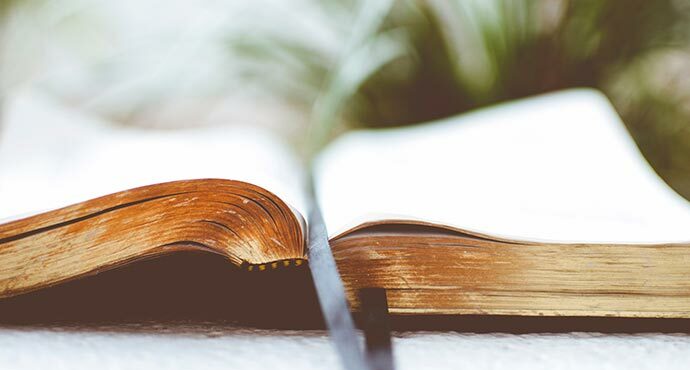 The research group’s evaluation, with substantial interobserver agreement (κ = 0.681), showed high rates of accuracy (92%), sensitivity (91%), and specificity (93%), as well as a high positive predictive value (89%) and negative predictive value (95%) [3,4]. 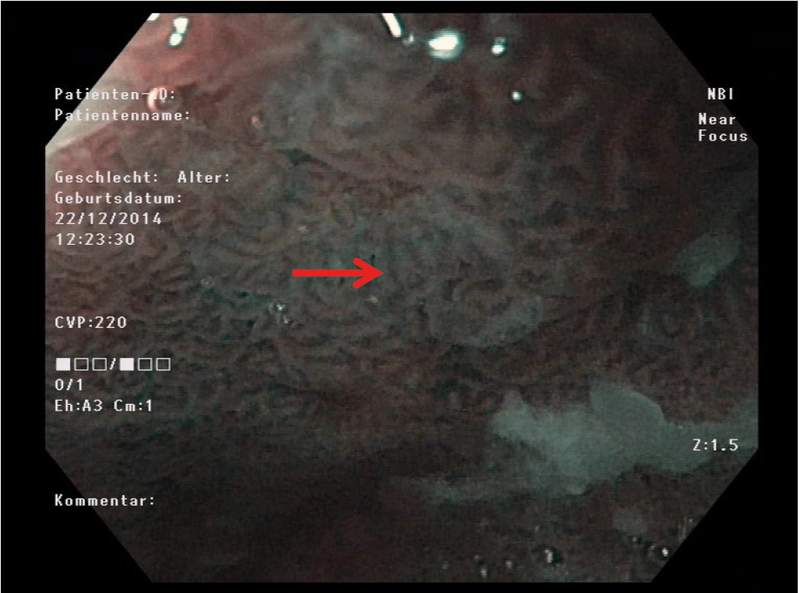 Example 1: Nondysplastic Barrett’s epithelium (NDBE), HR endoscopy, NBI mode. 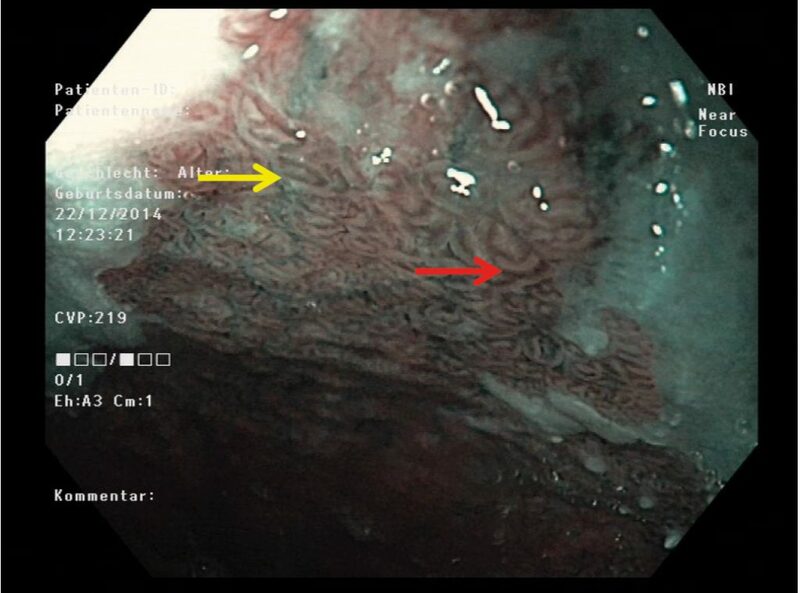 A circularly arranged mucosal pattern (yellow arrow), with the vessels coursing regularly along the mucosal architecture (red arrow). 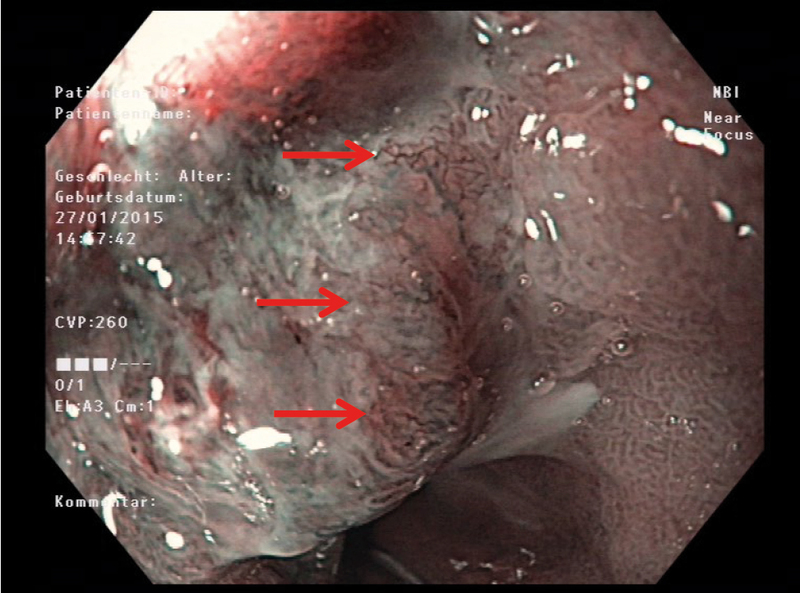 Examples 2a and 2b: Nondysplastic Barrett’s epithelium (NDBE), HR endoscopy, NBI mode. Example 3: Dysplastic Barrett’s epithelium (DBE), HR endoscopy, NBI mode. Irregular, longitudinally arranged epithelium, with a branched vascular architecture, not following the course of the mucosa (red arrows). Example 4: Dysplastic Barrett’s epithelium (DBE), HR endoscopy, NBI mode. 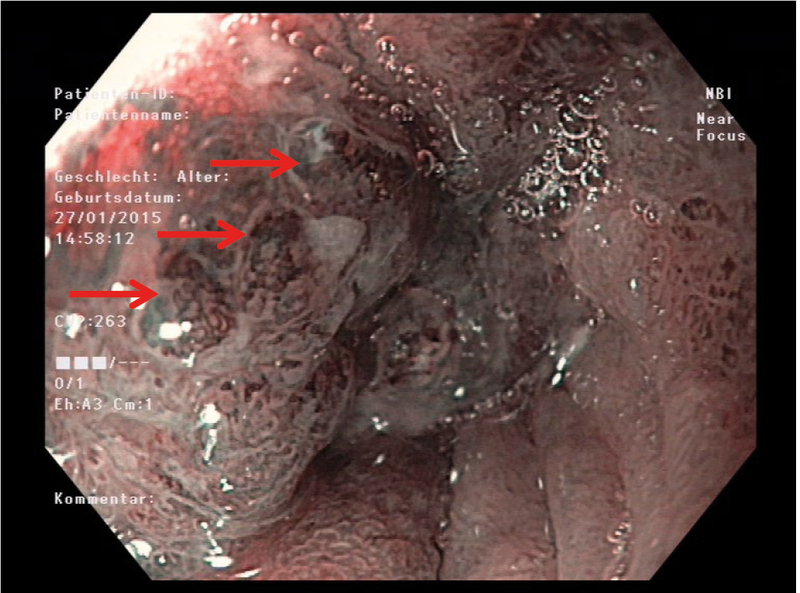 Irregular mucosal pattern with elongated, highly branched vessels, not following the epithelial architecture (red arrows). Example 5: Dysplastic Barrett’s epithelium (DBE), HR endoscopy, NBI mode. Elongated, highly branched vessels that do not follow the epithelial architecture (red arrows). Example 6: Dysplastic Barrett’s epithelium (DBE), HR endoscopy, NBI mode. 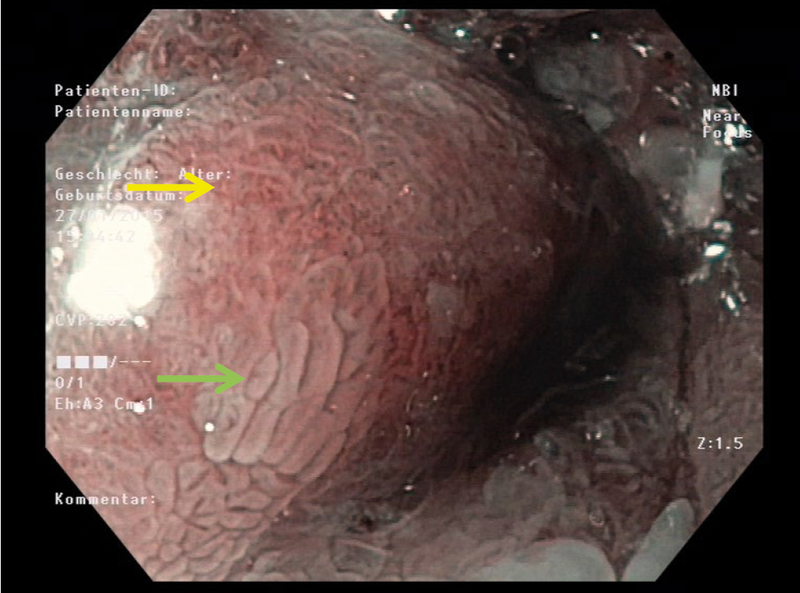 An irregular mucosal and vascular pattern (yellow arrow) is seen here alongside regular mucosal coils (green arrow). With targeted biopsies, NBI-supported mucosal assessment significantly improves the detection rate for dysplastic and early neoplastic Barrett’s mucosa, and it should be used in addition to four-quadrant biopsies.